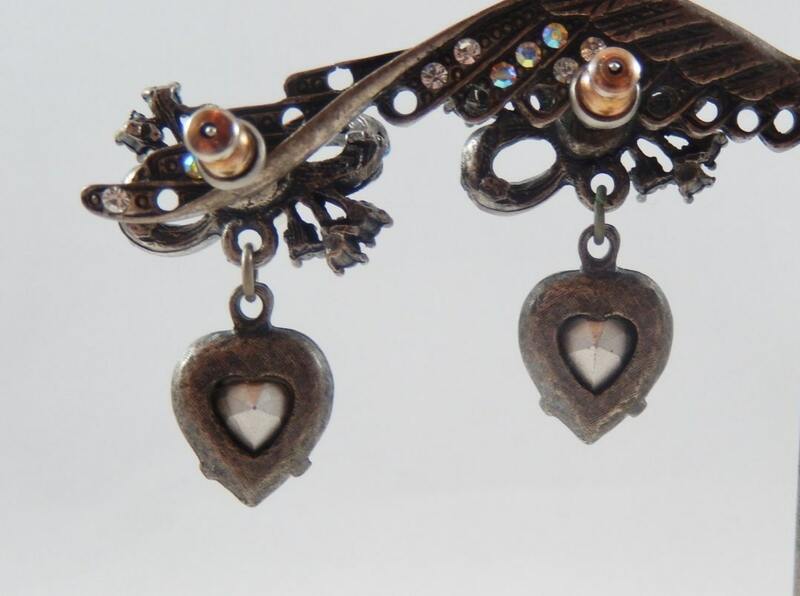 This is a vintage 1970s pair of bow and heart dangle earrings for pierced ears. The bow is tiny clear AB rhinestones with a larger faux pearl center. 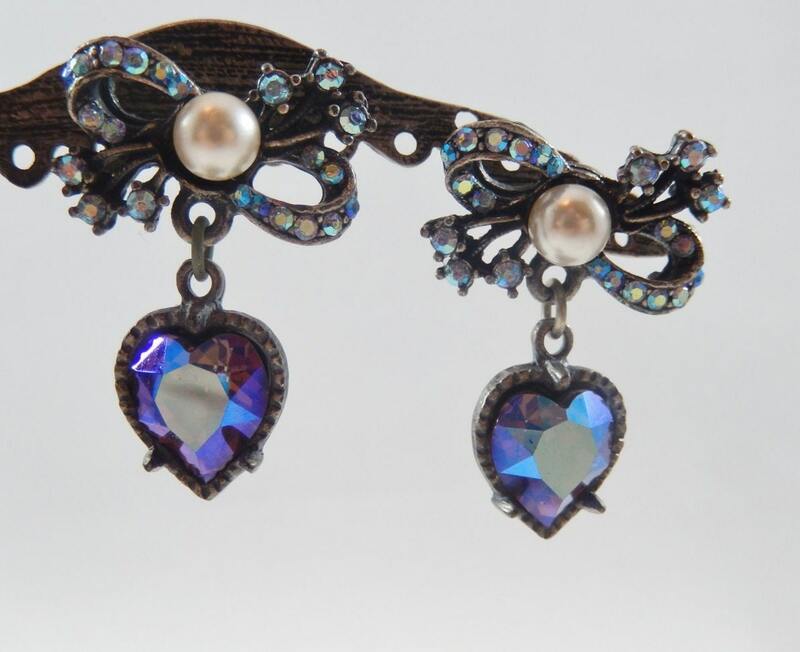 The dangle heart is a prong set heart shaped faceted purple AB rhinestone with an open back for more sparkle. They measure 1 1/4" long and 3/4" wide and they are in an antiqued dark metal setting. These earrings are too cute and very girlie! Their dainty look with the dangling Heart is very romantic! DISCOUNTED SHIPPING!